Bowel cancer can develop without any early warning signs. The cancer can grow on the inside wall of the bowel for several years before spreading to other parts of the body. Often very small amounts of blood leak from these growths and pass into the bowel motion before any symptoms are noticed. A bowel cancer screening test can detect small amounts of blood in your bowel motion. Screening has been shown to reduce the incidence of bowel cancer and improve survival after a diagnosis of bowel cancer. Bowelscreen® Test is available for purchase at Fresh Therapeutics. The price includes the test kit, pathology services and return postage. Please note, the test cannot be processed without the contact details of your GP. The bowel cancer screening test is called a Faecal Immunochemical Test (FIT) can detect these small amounts of blood in bowel movements. 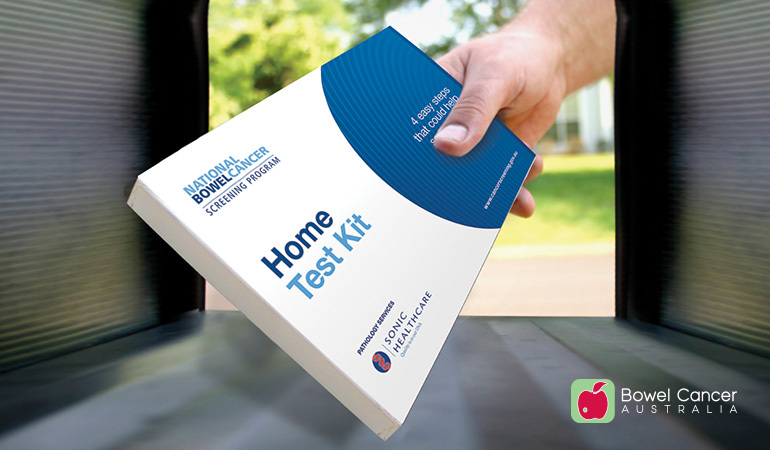 You complete the test at home and return it to a pathology company which undertakes the pathology analysis. The results of analysis are sent back to you and your nominated doctor. Positive results from bowel screening programs do not confirm the presence of bowel cancer but it does indicate the presence of blood that may be invisible to the naked eye in your bowel movement. This may be an early warning sign. You should speak to your doctor who will initiate further investigation such as a colonoscopy. no personal or family history of bowel cancer or polyps. The aim of screening is to find any polyps or to find cancer early when it is easier to treat and cure. The aim of this program is to have all Australians between the ages of 50 and 74 screened for bowel cancer by 2020. From January 1st 2019 Australians aged 50, 52, 54, 56, 58, 60, 62, 64, 66, 68, 70, 72 and 74 will be eligible for the government funded program. Please note: People who have received a free screening test kit from the Australian Government are encouraged to participate in the National Bowel Cancer Screening Program. Please call 1800 118 868 if you have an enquiry about the National Bowel Cancer Screening Program. People who are ineligible for the National Bowel Cancer Screening Program can undergo annual screening using the Bowelscreen kit available at Fresh Therapeutics Compounding Pharmacy. For more information go to Bowel Cancer Australia.